A latest house design to captivate your attention! Minimal interiors can make a strong statement. 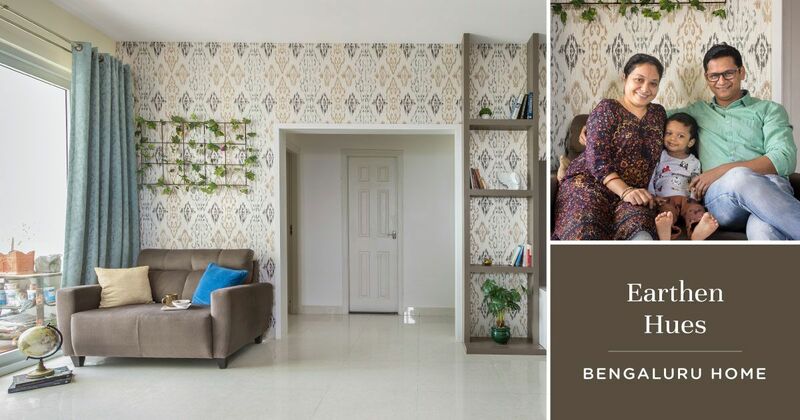 Take this 3BHK Bengaluru flat designed by Aayushee Rathtore for Santhosh Prabhu and his family for example. 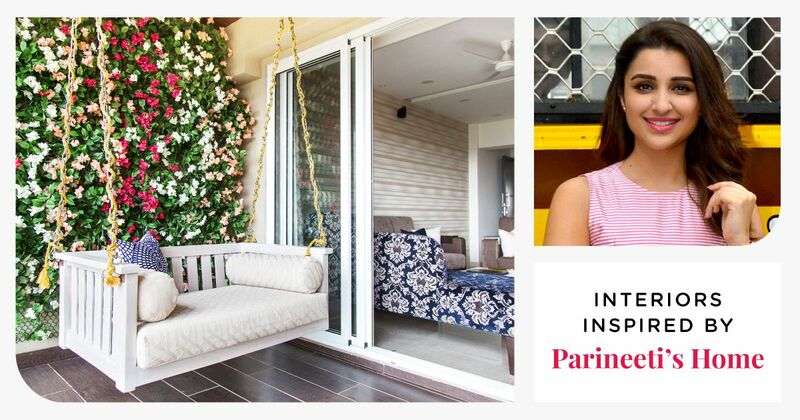 Since the home was designed for rental purposes, it was decked up with beautiful essentials. 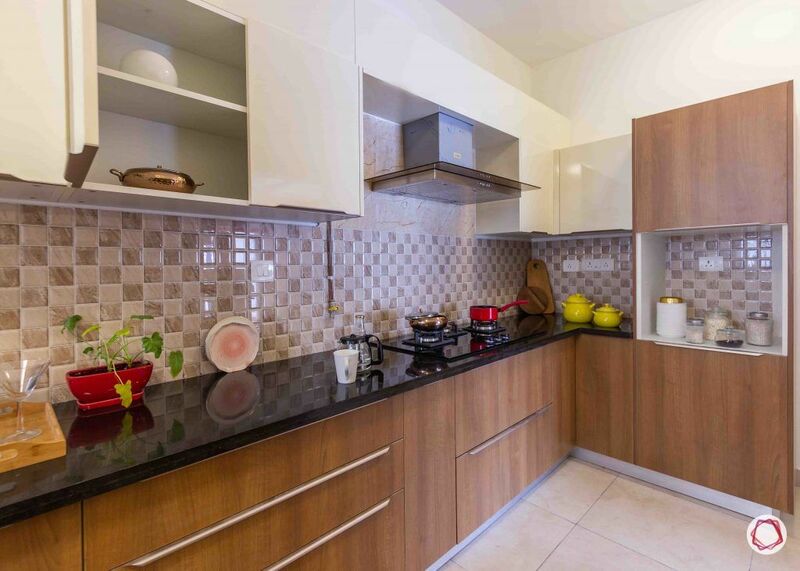 Because of the choice of different hues of wood, it elevates the space into a warm and inviting ambience. Walking into the home, you would be greeted by a warm-toned shoe cabinet. The membrane-finished unit has ample storage inside and doubles up as a display fix as well. For instance, you can have fresh flowers right at the entrance! The living room is minimal at its best. 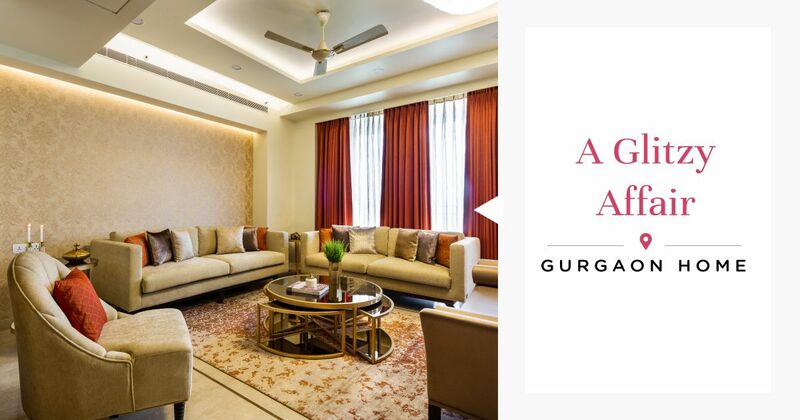 With an elegant false ceiling and lots of natural light pouring in, the space looks apt for breezy living. 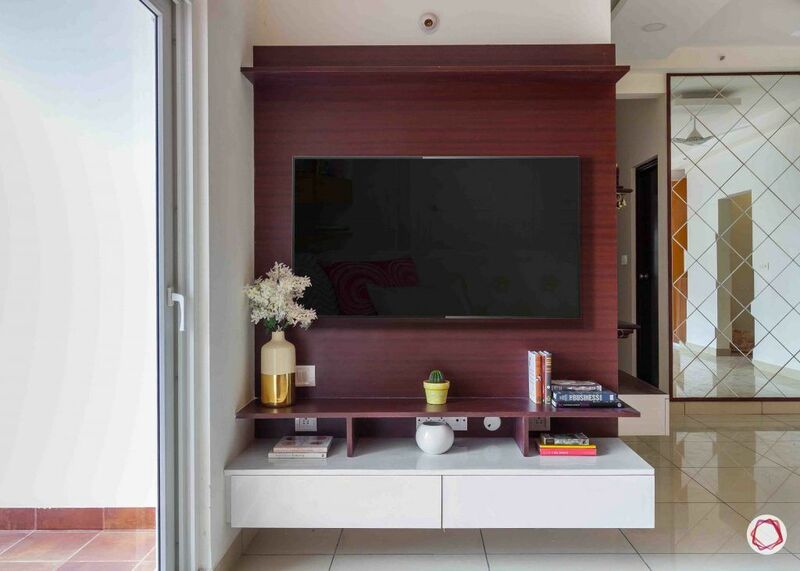 The TV unit stands in a sleek mahogany laminate. 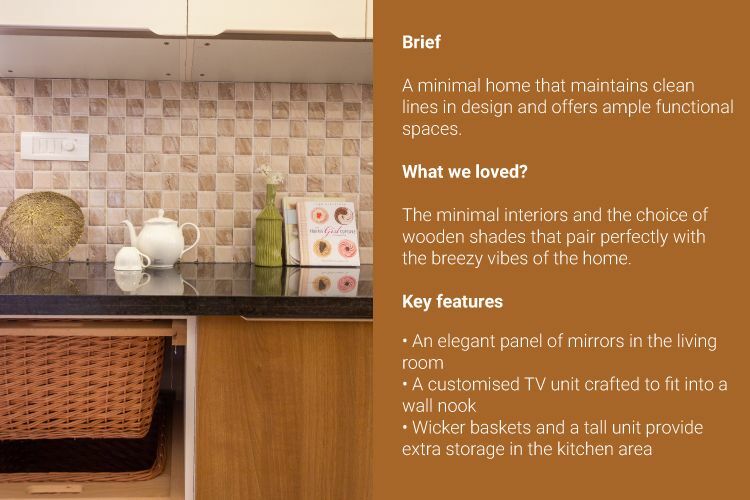 This was specially crafted to fit into a wall nook for efficient use of space. 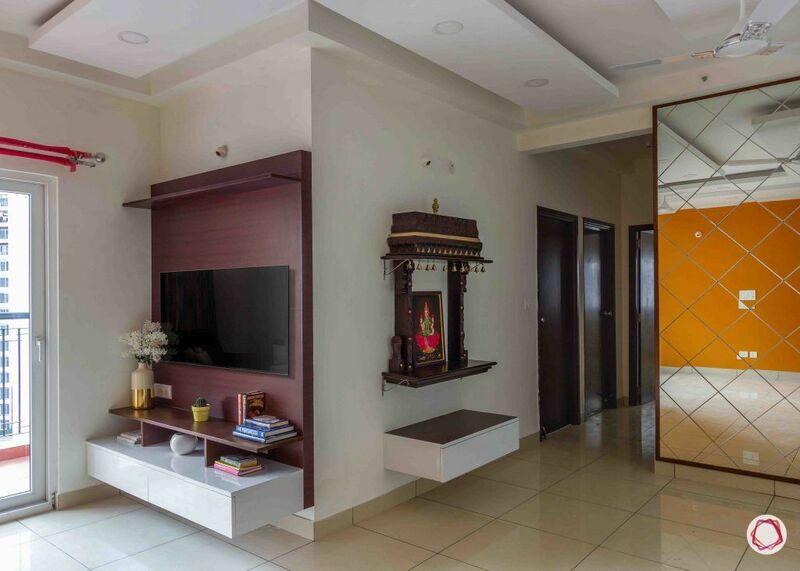 According to Vastu, it’s a good idea to have mirror work next to your dining space. To meet the brief, Aayushee put in a floor-to-ceiling panel of mirrors. 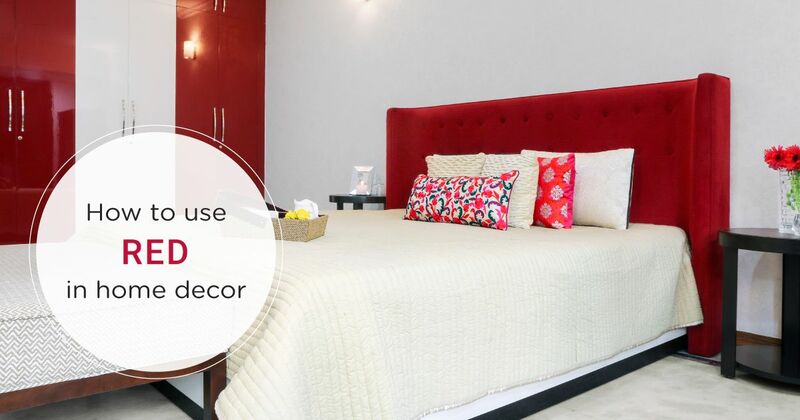 This also helps to create an illusion of a larger space. 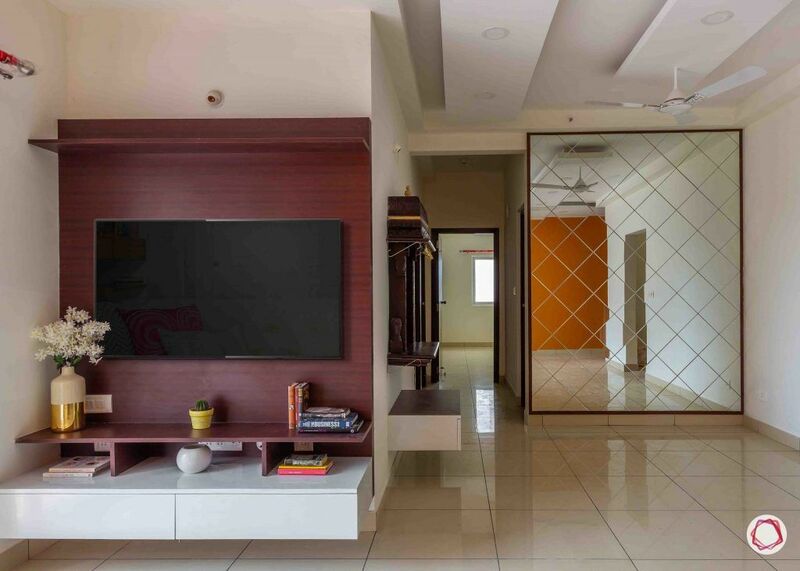 Notice the orange wall being reflected in the mirror panel? 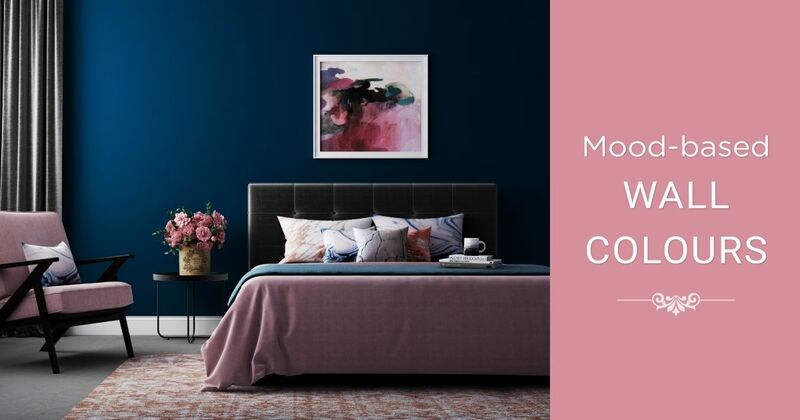 Aayushee added the accent wall for a pop of colour. 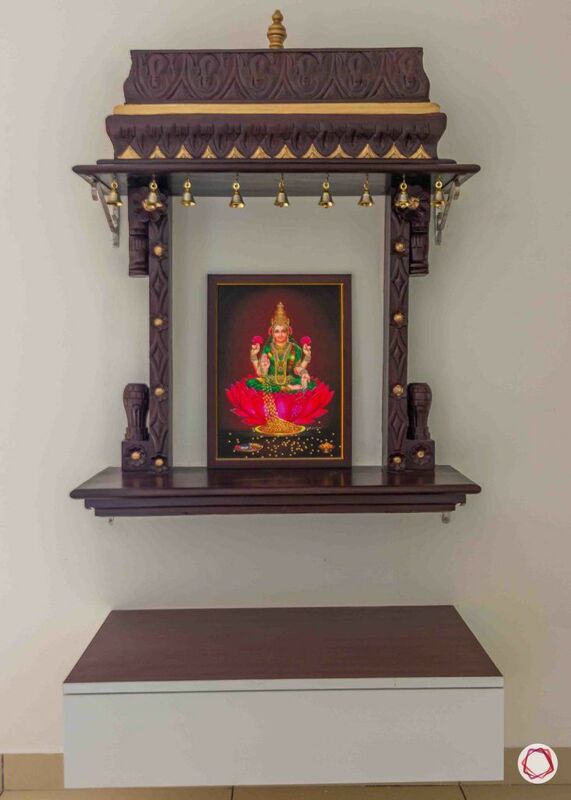 The pooja unit is a beautiful wooden carved piece of work. 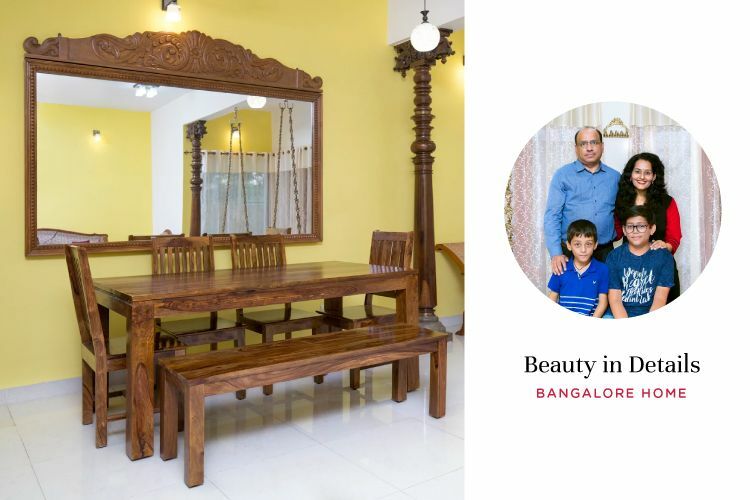 Santhosh Prabhu and his family fell in love with the mahogany-finished element from our website and wanted it for their home as well. Made out of rosewood, it also features a drawer in frosty white for their pooja essentials. 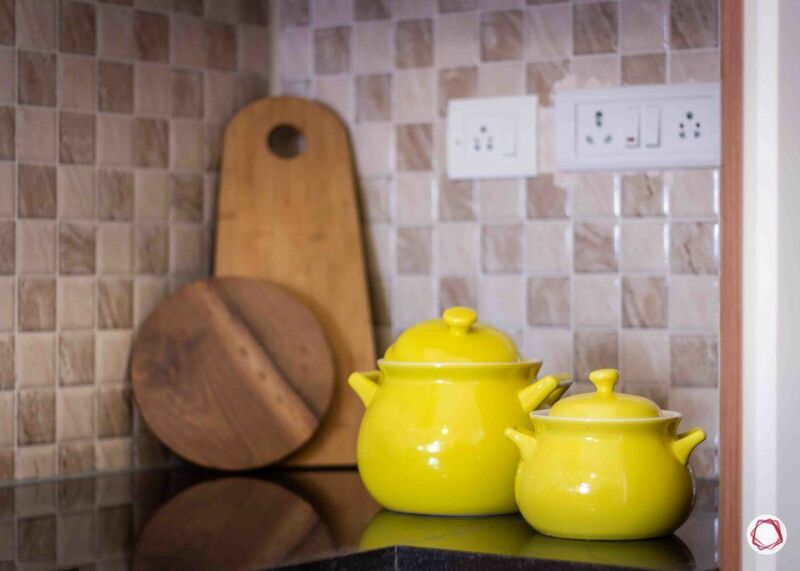 For the Prabhus, functionality is extremely important for their kitchen. Everything was put in with close proximity to each other. Extra plug points were added for their electrical appliances. 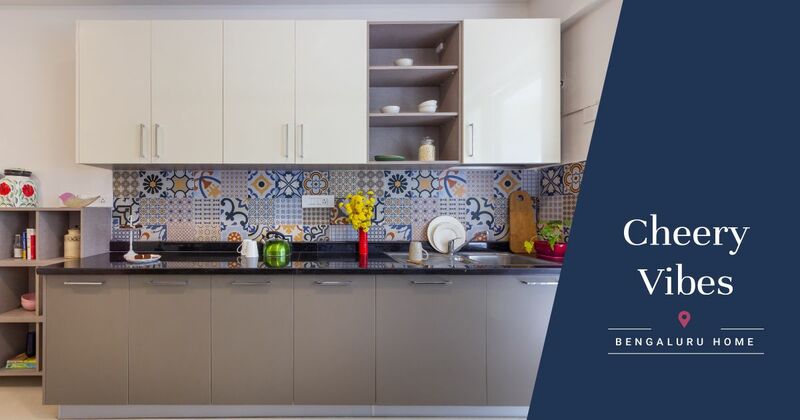 Since the subtle mosaic backsplash was provided by the builder, they choose complementary colours for the rest of the kitchen. The overhead cabinets have been topped off in champagne high gloss while the lower ones stand out in a warm walnut brown. The countertop is kept simple in jet black granite. 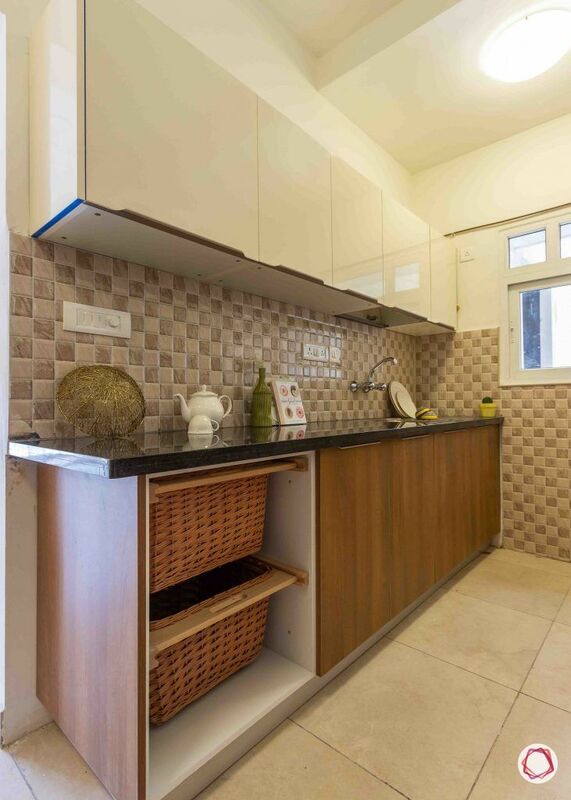 Storage was a priority as well for the subtle-toned kitchen. 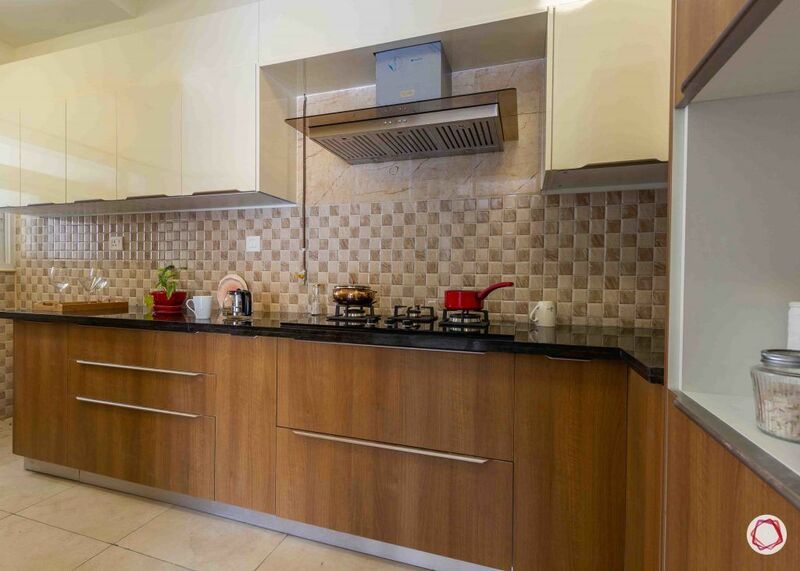 As a result, both sides of the kitchen have adequate number of cabinets. 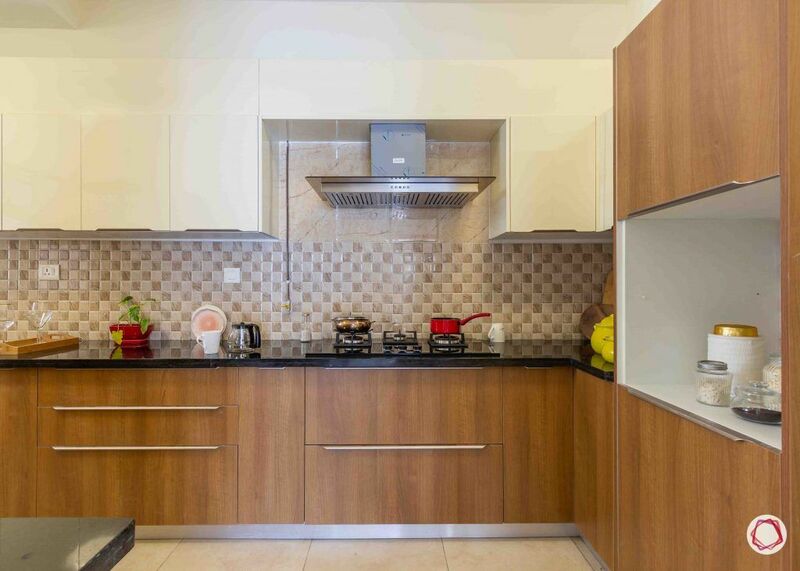 Above all, Aayushee added a tall unit with inbuilt space for a microwave oven and wicker baskets for groceries. Since the home was for rental purposes, the three bedrooms have been fitted with a wardrobe. 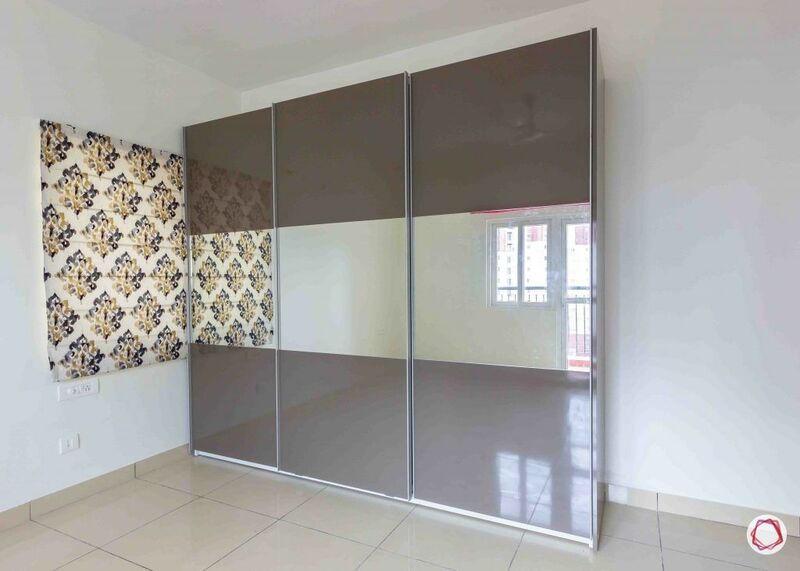 For the master bedroom, Aayushee put in a grey sliding door wardrobe. 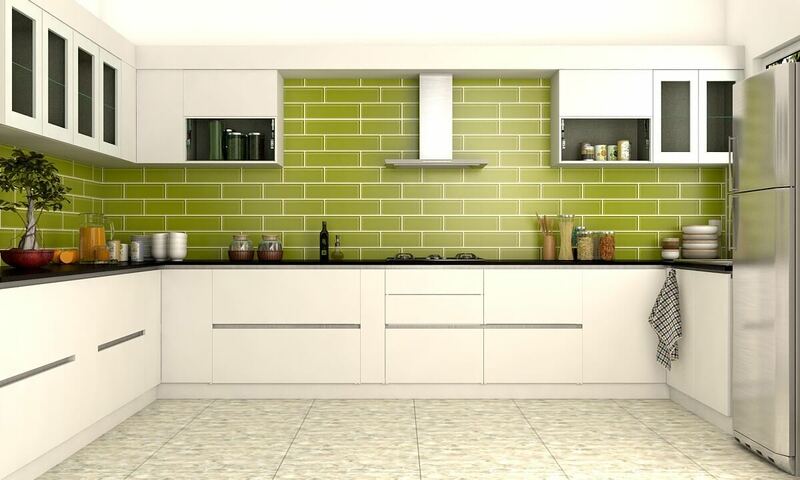 The elegant unit features mirrors as the centre panel and slate high gloss laminate for the rest. The second bedroom belongs to Santhosh’s parents. 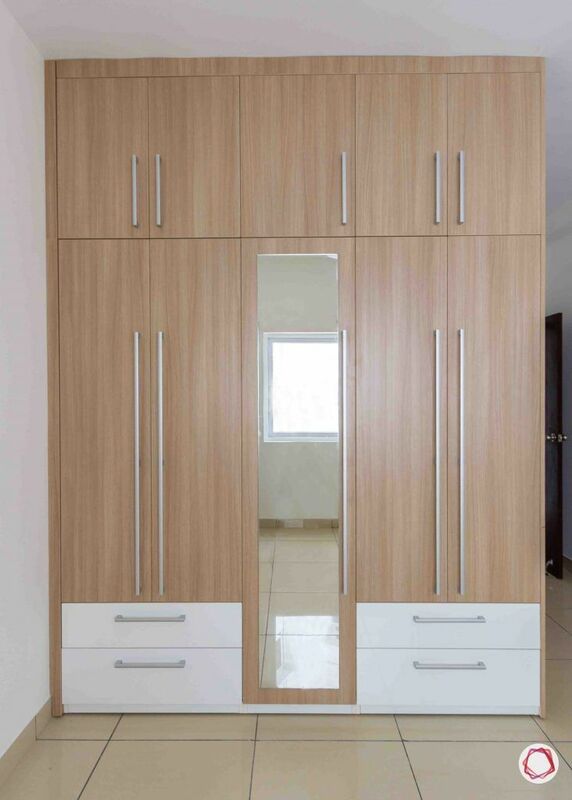 This wardrobe features swing doors for ease of use. 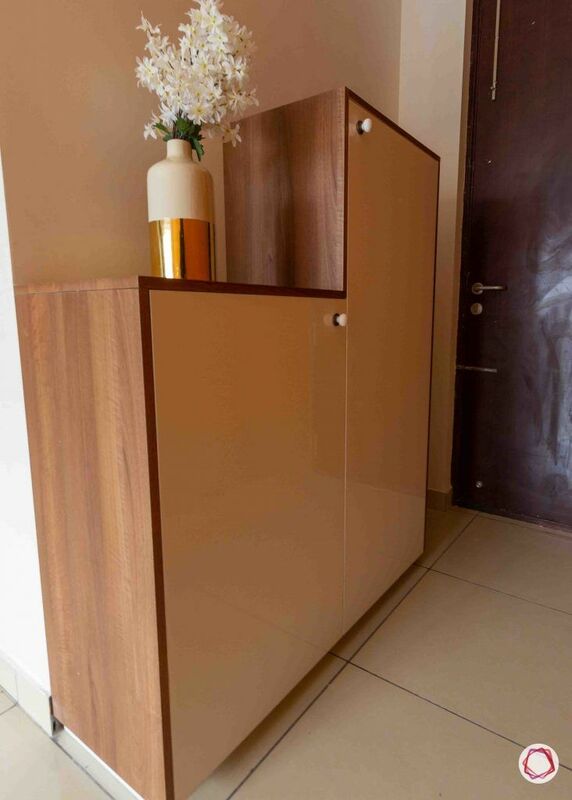 Done up in an American walnut laminate finish, the wardrobe was fitted with locks to give a sense of security. In addition to this, the frosty white drawers help to break the monotony. 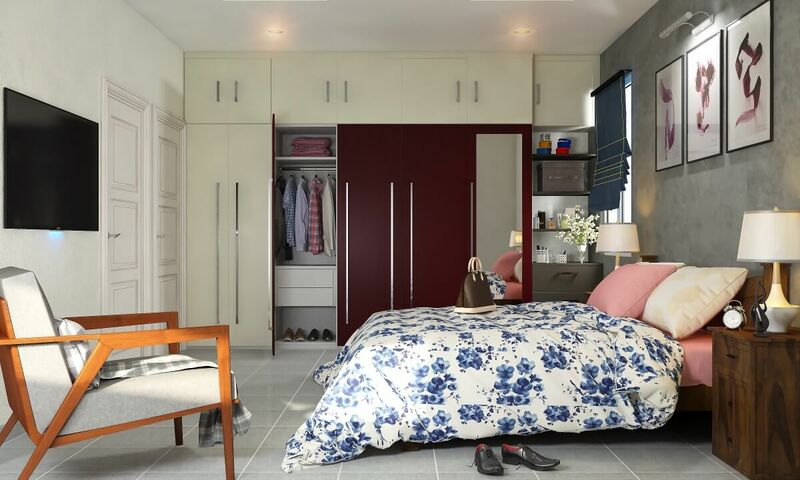 The kids’ bedroom features a floor-to-ceiling wardrobe with ample storage inside. 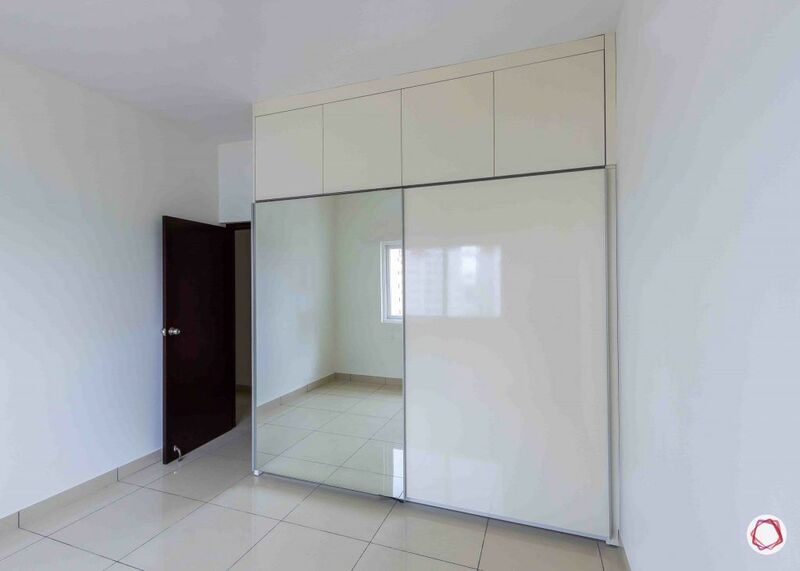 Topped off in a champagne high gloss laminate, the wardrobe pairs well with the white vitrified tiles. Though, the full length mirror takes the centrestage of this room. 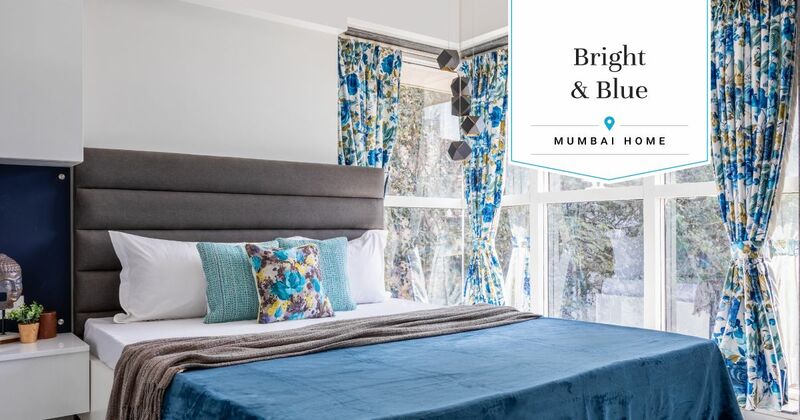 If you liked this tour, take a look at Small But Stylish 2BHK Home for more inspiration.